Do you have one of these unusual surnames (Titheridge, Titheradge, Tidridge, Tytheridge) or are you related to someone who does? If so this blog is for you. Please add your comments to the Blog. Who is the most famous and well known Titheridge / Titheradge? It has to be Madge Titheradge the famous actress who lived from 1887 – 1961. Madge was the daughter of George Sutton Titheradge and his second wife Alma Maria Johanna Santon. Margaret Naomi Titheradge (Madge) was born on 2 July 1887 in Melbourne, Australia and was one of seven children of the marriage; she also had two step brothers and a step sister from George’s first marriage (Henry Augustus Lionel born 1873, Sutton Wallace born 1877 and Henriette Louise born 1875). George and Alma’s children were Lillian born in Richmond, Surrey, England in 1877, Sylvia, Frances and Evelyn born in Australia in 1882, 1883 and 1885 respectively. Then came Madge born 1887, followed by Alexandra Nina born 1888 and only son Dion born 1889, all born in Australia. Madge was born into a theatrical family, George Sutton Titheradge was a famous Victorian actor well known in England, Australia, India and America. Alma was also an actress and had met George while they were both acting for the same theatre company. Madge spent her childhood in Australia and it is known that Madge and her sisters spent some time at Penleigh and Essendon Grammar School in Victoria. We also know she received some schooling in St Anne’s School, Soho London, where the Reverend Rosslyn Bruce set up special classes for children performing in the London theatre, with lessons at times to fit in with rehearsals and performances. in "Butterfly on the Wheel"
By the age of just 15 Madge was in London and embarking on her theatrical career. She made her first appearance on the stage in a Christmas matinee in 1902 at the Garrick Theatre in “The Water Babies” by Charles Kinsley. Her early career was spent in England where she joined Cyril Maude playing in principal London theatres in roles including Lisa in Faust and Princess Katherine in King Henry V... In 1908 she joined the Lewis Waller Company as the leading lady. 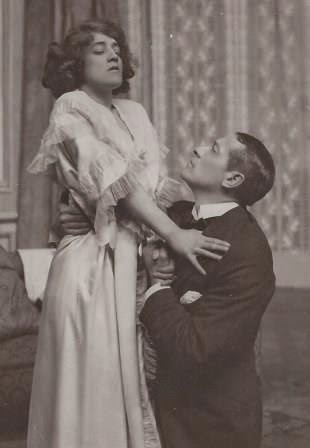 Between 1911 and 1913 she was touring USA and Canada and amongst her achievements at this time she created the leading role of Peggy Admaston in The Butterfly on the Wheel with Lewis Waller. She returned to Australia on the stage just before the First World War in May 1913. 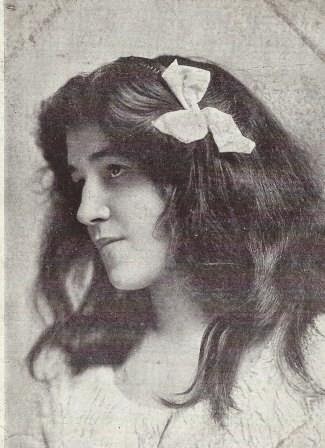 December 1914 saw her back in London appearing in Peter Pan at the Duke of York Theatre. This is when she first met Noel Coward, then aged 15, who was playing Slightly to Madge’s role of Peter Pan. During World War 1 she appeared in many London productions including, The Admirable Crichton, Gamblers All and The Passing of the Third Floor Back and in December 1916 she played Aladdin in the pantomime at Drury Lane. Two of her appearances in the late 1920s were in plays by Noel Coward, “The Queen was in the Parlour” and “Home Chat”. In all we have records of her appearing in excess of 50 plays in England, America and Australia. 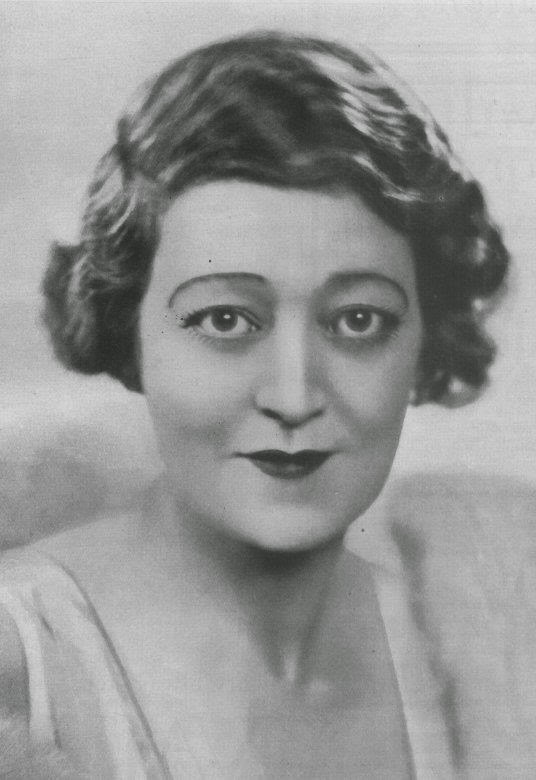 She left the stage for 5 years from 1928 but made her return in 1932. The return was due to the fact that her husband lost a lot of money in the Wall Street Crash. The following year she acted in Proscenium opposite Ivor Novello. On her return to the stage she was directed by Noel Coward in “Theatre Royal” and Jacques Deval’s “Mademoiselle”. She was in poor health and suffering pain during “Mademoiselle” and after one more play in 1938 she retired. She gained a great reputation as a dramatic and emotional actress, yet she was also an excellent comedienne. She had a wonderful voice, perfect diction, great sincerity, a lovely face, an exquisite figure and a flair for clothes. “At Holy Trinity Sloane Street yesterday afternoon Mr Charles Quartermaine married Miss Madge Titheradge. The bride, who was given away by Mr Cyril Maude, wore a paquin gown of soft white Liberty satin, the skirt having a panel in front of silver tissue embroidered in a design of silver roses. Miss Angela du Maurier, wearing a white muslin frock, was train bearer and there were also four bridesmaids – Miss Marie Lohr, Miss Frances Titheradge, Miss Beatrice Terry and Miss Rosalie Toller. Mr Dawson Milward was best man”. There was a photograph in the press showing the crowds who had turned up to watch the glamorous spectacle of the Edwardian star’s wedding which was attended by the leading young ladies of the London Theatre. Charles and Madge were divorced in 1919. Madge’s second marriage took place in 1928 to wealthy businessman Edgar Park. Edgar was an American millionaire who fell in love with her when he saw her playing in Ibsen’s Dolls House in London. There are no known children from either marriage. She made her home in Fetcham (near Leatherhead) Surrey England and lived there from 1937 until her death at Fetcham on 14 November 1961 at the age of 74. Noel Coward and Gladys Cooper were frequent visitors to the Fetcham home of actress Madge Titheradge, who died Tuesday, aged 74. Miss Titheradge appeared in many West End productions, often with actors and actresses whose names have become household words. She first appeared at the Garrick Theatre in 1902 in the The Water Babies. She moved to her home in the Street, Fetcham in 1937 with her husband the late Edgar Parks. Yesterday (Wednesday) her relatives received a letter of tribute from Dame Sybil Thorndike who was one of her closest friends. A memorial service is being held today at St Johns Church, Woking. Are you related to Madge? If so please post a comment and tell us what you know about our most famous Titheradge. I am distantly related to Madge Titheradge. Her mother (Alma Santon/Saegert) is the sister of my great-grandfather. I think that makes her my great grand aunt! I only found her (and this blog) recently while trying to draw up a basic family tree. I got quite interested in my great grandfather's sisters as they seemed to have led quite eventful lives, unlike my great-grandfather. One of the sisters, Johanna Saegert, was (I think briefly) married to the actor Etienne Girardot who was the original "Charley's Aunt". Another sister, Wilhelmina, married Ernest Sellon, the son of the Victorian pornographer, Edward Sellon. Thank you for your comment. I am glad that you have found some useful information on the blog. You may like to know that Madge is not your only famous relative as her brother Dion was a famous playwright (more of this in a later blog). I have limited information on Madge’s mother Alma. Alma was born Alma Maria Johanna Saegert on 8 December 1849 in London. She was baptised on 29 January 1850 at Shoreditch St Leonard. She was the daughter of William Peter Theordore Saergert and Anne Margaret Marie Cutter. I have seen her father’s name written as Wilhelm, Welhem and William and I have also seen various spellings of Saegert . Alma was on the 1851 and 1861 census with her parents in London. On the 1871 census she is aged 21 and although listed in the family home she is also listed as a boarder at in the Manchester area. In both listings she is an actress. Alma appeared on stage under the name Alma Santon and it is unclear if this is just a stage name or if in fact she had married. I have not found any marriage in the English records but she could have married abroard. I believe Alma was a member of Lydia Thomson’s burlesque troupe who performed in America in1868. George Sutton Titheradge and his first wife Isabella Murdoch were involved in the English theatre, Isabella was an actress and George a rising star actor. By 1871 George and Isabella were married and they had their first child later that year. It is through the theatre that George met Alma. In 1876 George was offered work in India with his theatre company. Due to ill health Isabella did not accompany him and stayed in England with the children Henry Augustus and Henriette Louise. We believe it is during this trip that George and Alma began a relationship. George returned to Isabella after the trip to India and on 7 March 1877 George and Isabella’s last child, Sutton Wallace, was born. In July 1877 George obtained work in Edinburgh and while he was here in July 1877 Alma gave birth to their first child, Lilian Theordora. (Yes George had two children born 3 months apart!) Between July 1877 and October 1878 George seems to have been with both actresses, living with Isabella for a while and then leaving again. In October 1878 the theatre company went to India again, with both George and Alma in the company, while again Isabella stayed in England. While away George wrote to his wife and told her that it was over. He continued to send money to Isabella but never rejoined her again. After George and Alma arrived in Australia George became the star of the Autstralian theatre. In 1880 there is a reference to Alma appearing in a play with George in Sydney. Between 1880 and 1883 Alma appeared in several plays in Australia. We have found no further reference to her acting career after this date. George finally married Alma on 4 March 1884 in Melbourne. They went on to have four more children Evelyn, Madge, Alexandra and Dion. Alma is referred to as George’s wife and accompanies him on some of his trips e.g. in 1901 census she can be found with her children in London at Cavendish Road. She returned to Australia after this, where George died in 1916. At some point she returned to England and died in London Paddington in 1922. Can anyone add any additional information about Alma if so please add a comment. Does anyone have a photograph of Alma? Are You Related to Alfred George Titheridge (1880 - 1919)?